Home Smart Gadgets Linksys Smart WiFi Router Review: A Worthy Upgrade? Linksys Smart WiFi Router Review: A Worthy Upgrade? The Linksys EA7300 is by no means “beautiful”, or “gorgeous”, or “low-profile” at all. But what it is, is a well-built, nicely designed router that will try its best to keep your network running better than you’d ever see with one of those basic routers. It has cooling vents on almost the entire surface, because thanks to the dual core processor, and all the hardware this thing is packing, it does need quite a bit of air to keep cool. 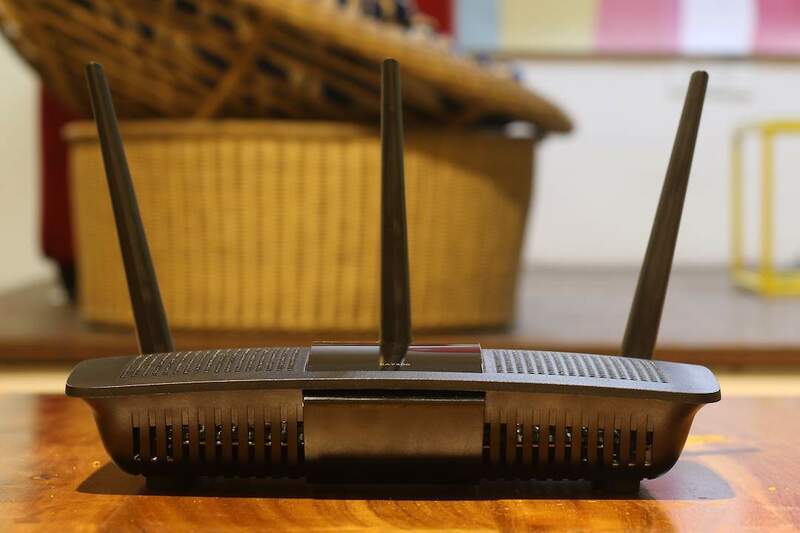 The router also has 3 beam-forming antennae, which means that you can point them in the direction of the devices, so those devices will receive the best signal strength. This can come in handy if you’re looking for a higher signal strength on your devices. For the most part, however, I left the antennae pointing straight up, and the network coverage was more than just great. One thing that really bugs me about the design choices made by Linksys with the EA7300, is the panel of glossy plastic that runs all the way through the center of the router. This looks like an amazing place to have some useful information to be displayed. But, all it does, is show a Linksys logo. Kind of feels like a wasted opportunity. 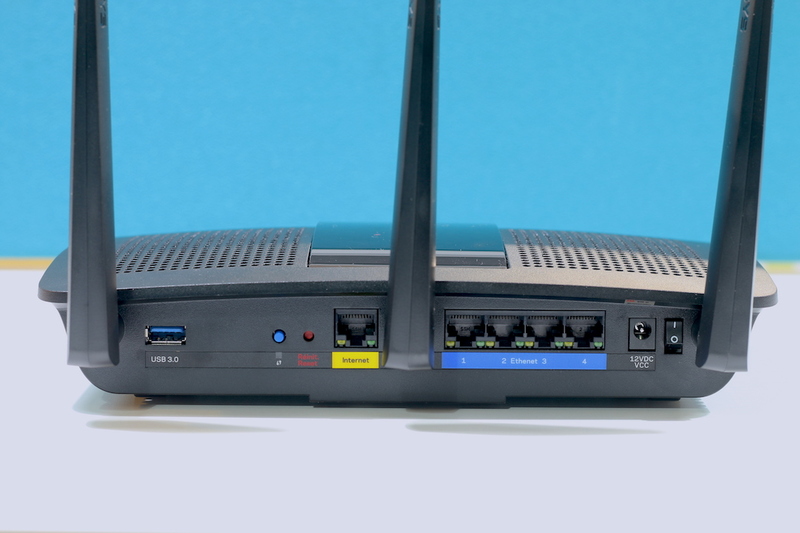 The Linksys EA7300 Smart WiFi Router has all the ports and connections you’d see in a basic router, and one port that you’d not find in most low-end routers. On the back of the router, you’ll find a power button, a 12V DC input for the power adapter. You’ll also find 4 ethernet LAN ports, to connect devices to the router using ethernet cables. There’s also a WAN port where you’ll plug in the internet cable. On the WAN port’s side, there’s a reset button, and the WPS button for quick connection with devices that support WPS. Then, on the extreme end of the router, there’s a USB 3.0 port, which is awesome. You can connect external storage devices to the router through this port, and share all your files over the network; kind of like your own personal cloud storage. I tried connecting a 1 TB Seagate external hard disk, and it worked flawlessly. You can also connect printers to the USB port, to allow every computer on the network to share the printer over WiFi. It’s pretty neat. As far as routers go, the Linksys Smart WiFi Router doesn’t offer anything great in terms of build quality. It is decently well built, and looks a lot more hefty than most other routers out there, but it doesn’t quite feel as strong as a device that bulky should. To it’s credit, the router does manage to look like one beast of a device. However, if you’re expecting it to blend in with the ambience over at your house, it’ll probably not. 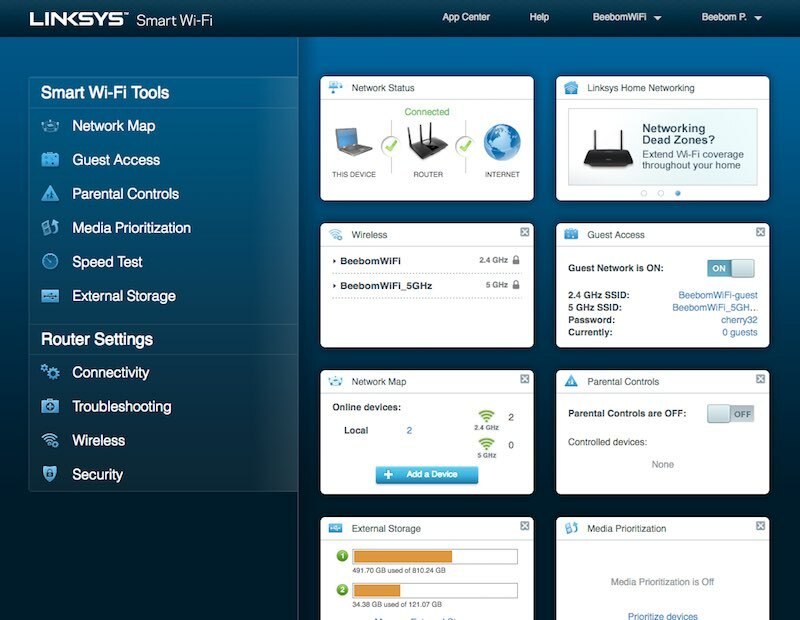 Where the Linksys EA7300 Smart WiFi Router really shows off its smarts is in the software that comes with the router. First off, the dashboard that shows up as soon as you log into the admin panel for the router is just really great. It gives a quick overview about everything of importance. Things like the number of devices connected to the router, both in the 2.4GHz, and the 5GHz bands of the router. Users can click here to view the network map, something that can also be viewed by clicking on the “Network Map” option in the menu on the left. The router also supports a guest network, in both the bands, so you can allow temporary users to access the internet, without letting them into your private network, and potentially accessing any shared files. You can quickly change the SSID for the guest network, and view/edit the password. The dashboard also shows the number of devices connected to the guest network, and you can click here to see information about the devices connected to the guest network. For households with kids, the router also offers great parental controls, which can let you restrict websites that particular devices (belonging to your children) can visit. 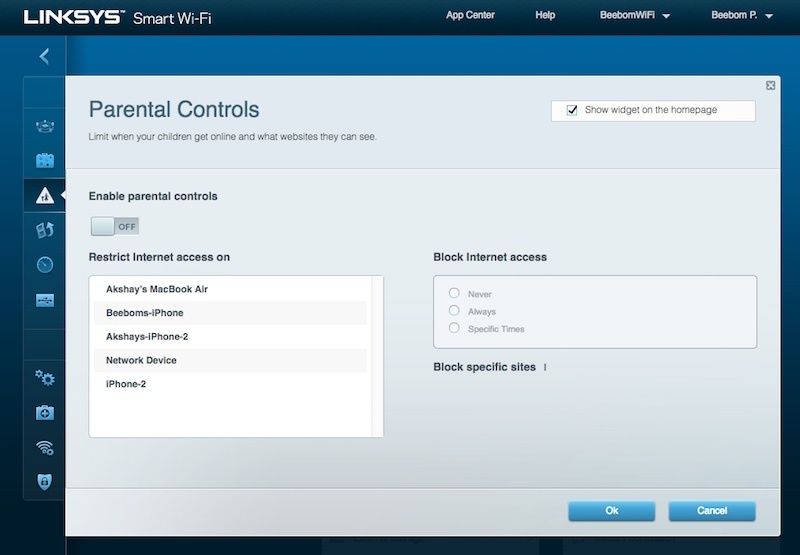 You can also block out times when the router will simply not allow those devices to access the internet at all. While this may seem a tad drastic, it’s definitely a handy feature to have. Grounding kids would work way better if you took away their internet rights like this.. just saying. Most people use Speedtest to check their network speeds, and the EA7300 takes this one step further. 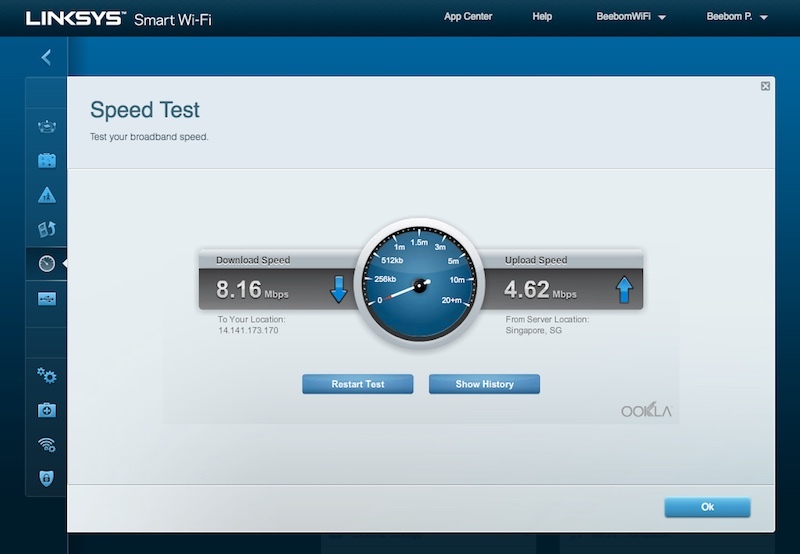 Linksys actually includes an Ookla Speedtest widget embedded right inside the software. So, you can easily check the network speeds your router is getting. This may not be a big deal, but it’s a handy thing to have when you need it. 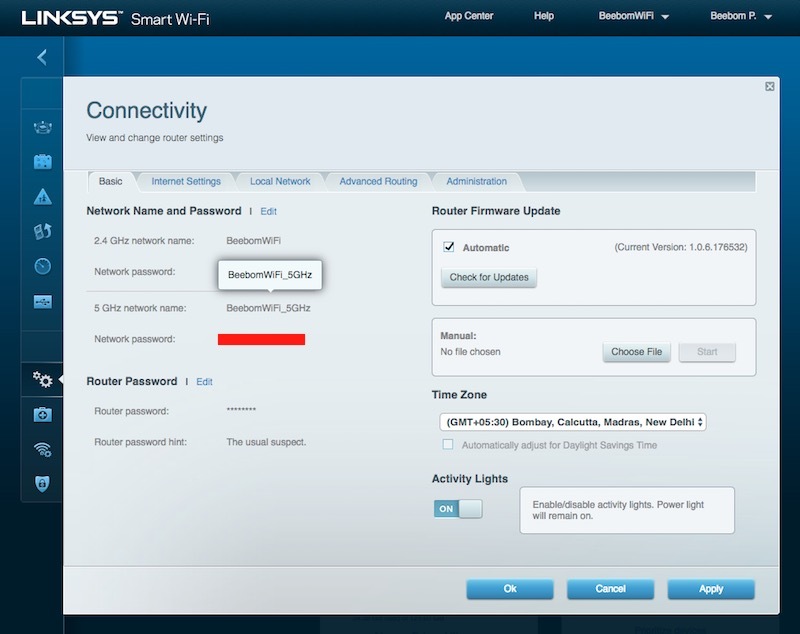 Moving on to the “Router Settings” section of the Linksys EA7300’s web-interface, you’ll find “Connectivity Settings”. Here, you can find things like the LAN settings for your router, as well as the internet settings. For advanced users, this section also provides options to choose between NAT, and RIP to decide on how to route packets. Also, for local management, users can choose between using HTTP, and HTTPS protocols. Obviously, HTTPS is more secure, as it is encrypted. 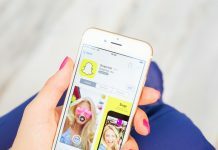 For the more casual user, there are still plenty of settings for you to tinker with, and figure out the perfect settings for you. You can tinker with a whole lot of settings here, including the SSID for the WiFi network, and the password. You can also enable MAC filtering, and can set either a whitelist, or a blacklist of devices on the MAC address filtering list. This can come in exceptionally handy in preventing unknown users from connecting to your network, even if they know your password. 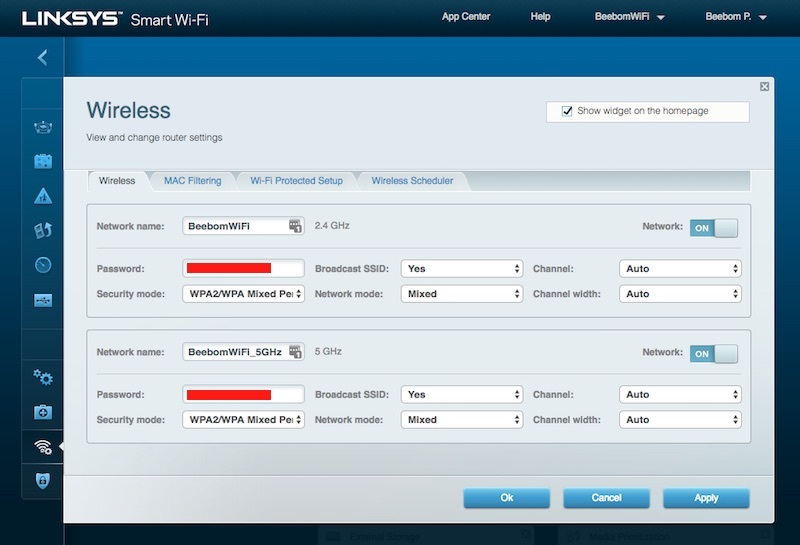 Yet another cool feature that is offered in Wireless Settings, is Wireless Scheduling. This feature allows you to set your router to automatically disallow wireless network access during certain times on certain days of the week. This method of restricting access isn’t perfect, and can be fooled by changing the MAC address of the device trying to connect to the network. 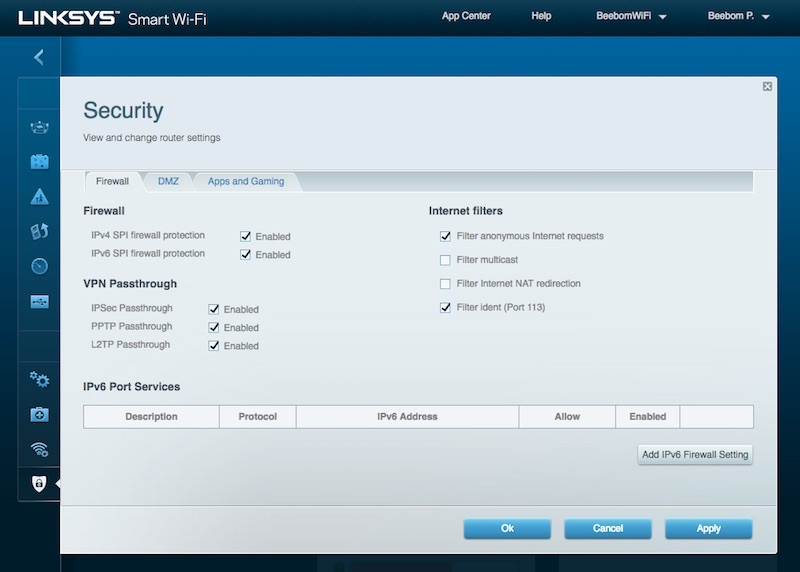 The Linksys EA7300 Smart WiFi Router does not lag behind on the security front, either. You can set up the router firewall inside the security menu, and use any of the three supported protocols, which includes IPSec. The EA7300 also comes with Internet Filters, which can automatically filter anonymous requests, and a lot more to keep you protected. This is where you can set up Port Forwarding as well, and the EA7300 supports single port forwarding, as well as range forwarding, so you can choose according to your needs. While all the features discussed above are certainly great, the Linksys EA7300 Smart WiFi Router does come with some special features that genuinely make it a smart router. For starters, the router includes Device Prioritisation, so you can just assign devices to a higher priority and set the bandwidth that you want the router to reserve for them. This can come in handy when you’re trying to play an online game that requires a constantly high bandwidth, or when you’re streaming 4K content. The router’s USB 3.0 port comes in handy if you want to share an external drive over the entire network. 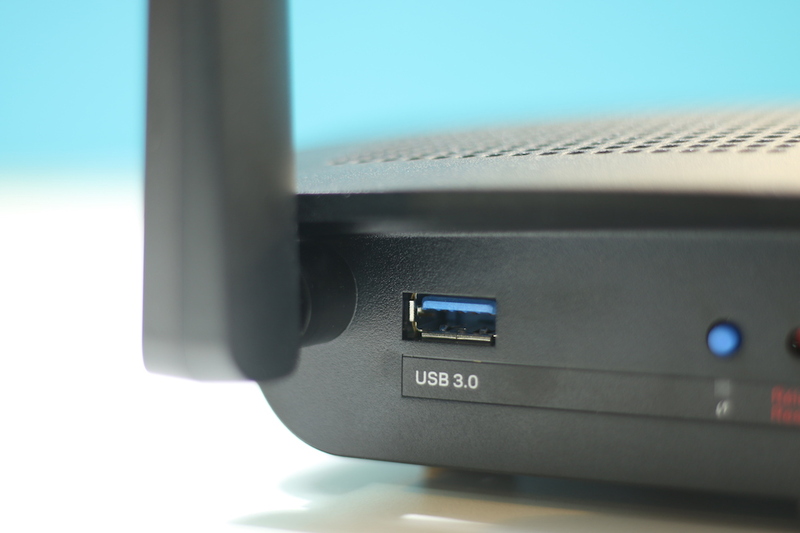 You can simply connect an external hard disk to the USB 3.0 port on the back of the router, and set up file sharing on the network. 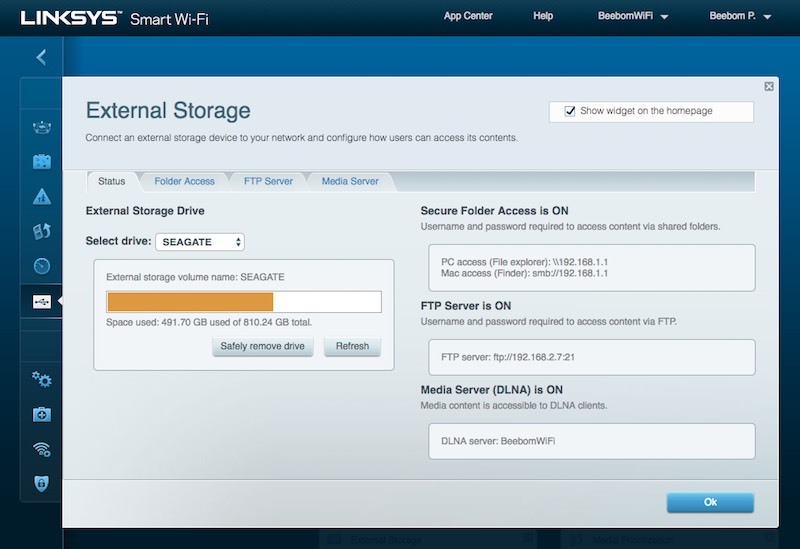 Users connected to the network can then easily access the files inside the external shared drive via FTP, SMB, and other protocols. You can even set up users to give specific rights to different users on your network. This is definitely a great feature. The USB 3.0 port can be used to share a printer over the network as well. 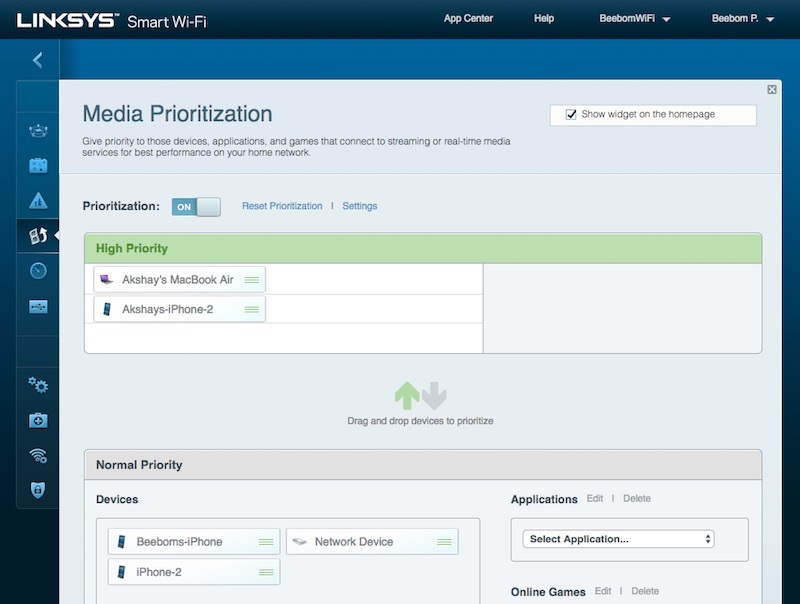 What truly makes the Linksys EA7300 Smart WiFi Router “smart”, is the Linksys app (available on Android and iOS). 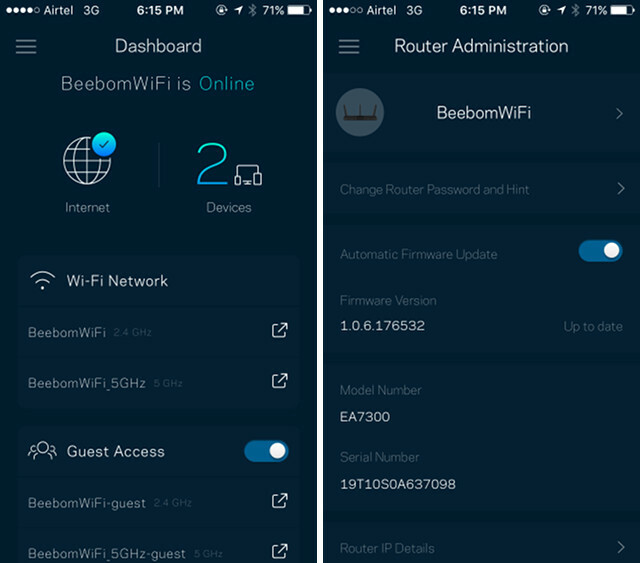 With this app, you can view every detail about your router, and the network of devices that are connected to it. You can reserve DHCP addresses for specific devices, adjust Parental Control settings, adjust the router settings including things like the WiFi SSID and password. 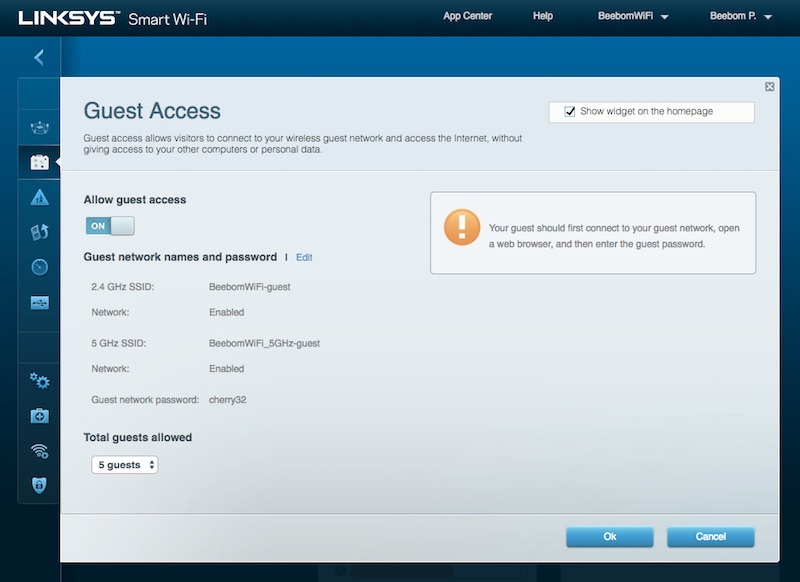 You can also enable, or disable the guest network, or view the devices connected to the guest network. Basically, anything that you can do in the web admin panel of the Linksys EA7300, you can do in the Linksys app as well. When it comes to performance, the Linksys Smart WiFi Router is no slouch. 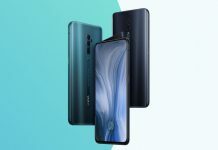 Thanks to MU-MIMO (multi user-multiple input multiple output) support, it can easily connect to multiple devices at once, and provide them all the same WiFi bandwidth and speed. 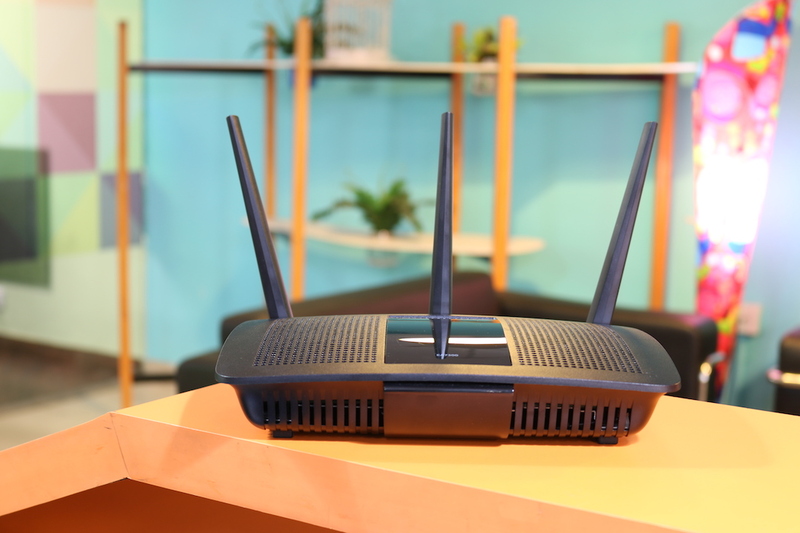 Plus, simultaneous dual band support means that the router can support a total WiFi bandwidth of 1.7Gbps, with the 2.4GHz network topping out at 450Mbps, and the 5GHz band reaching speeds up to 1300Mbps. 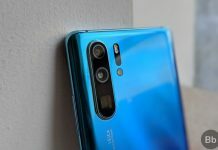 This means that file transfer using the shared external storage connected to the router will definitely be blazing fast. Also, thanks to the beam forming antennae that are used by the Linksys EA7300, you can rest assured that even if one of your devices is getting a poor signal, you can try and orient the antenna towards that device, and it’ll definitely see an improvement in the signal strength, which is yet another factor for performance. While I like the Linksys EA7300 Smart WiFi Router, there are some other really great smart WiFi Routers you can consider as well, such as the Netgear Nighthawk AC1750 ($109.66) which brings similar features and speeds. Also, for a more affordable option with similar features, you can check out Linksys’ very own EA6350 ($79.97), which sacrifices a little bit of speed in the 5GHz band, but brings the price to almost half. Also, if you want to get one of the best Smart WiFi Routers, you should definitely check out the Linksys WRT AC3200 ($228.87), which packs in a 1.8GHz dual core processor, along with 256MB flash storage, and 512MB RAM. 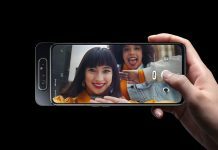 It supports speeds up to 600Mbps in the 2.4GHz band, and a blazing fast 2.6Gbps in the 5GHz band. 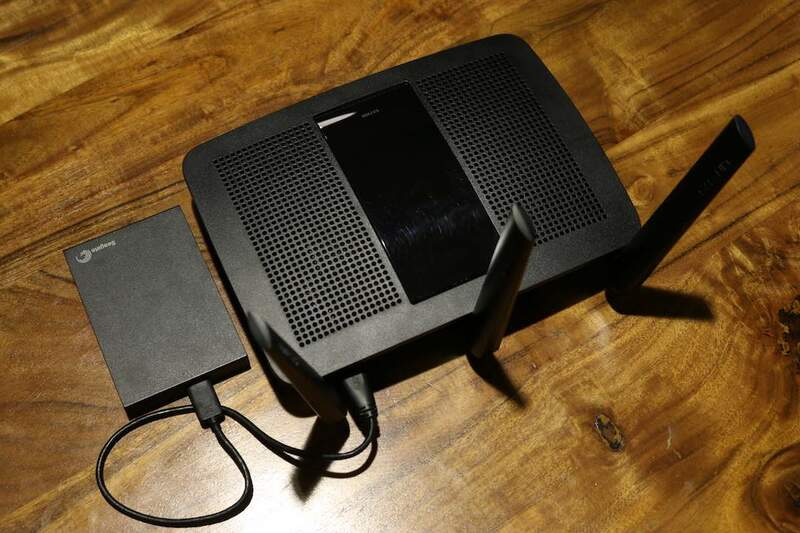 While there is no doubt that the Linksys EA7300 ($129.96) is an amazing Smart WiFi Router, the point still remains that unless you really need all the features that the router offers, paying almost $130 might be overkill. That said, if you’re looking to future proof your home network, and get it ready for things like the Internet of Things, and smart homes, you should definitely invest in a smart router like the Linksys EA7300. At ~$130, the Linksys EA7300 Smart WiFi Router is definitely worth the price. It offers an easy set up, a great admin panel, excellent control over the network, and more. 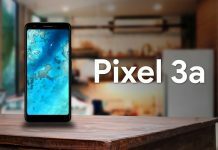 Plus, with features like simultaneous dual band support, MU-MIMO, shared external storage, and more, you can rest assured that you’re getting a device that is well worth the price it comes at. 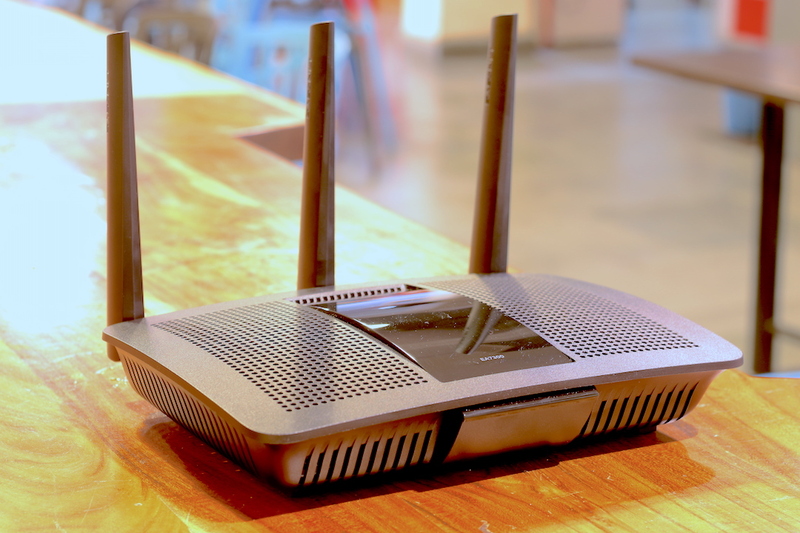 All that said, the Linksys EA7300 is definitely a great WiFi router, and will help you upgrade your home network, allowing you to stream 4K content, play online games, and watch videos, all without buffering (if you have a connection that is fast enough). Plus, it’ll let you plug in an external hard disk, and basically use it as your personal cloud storage. 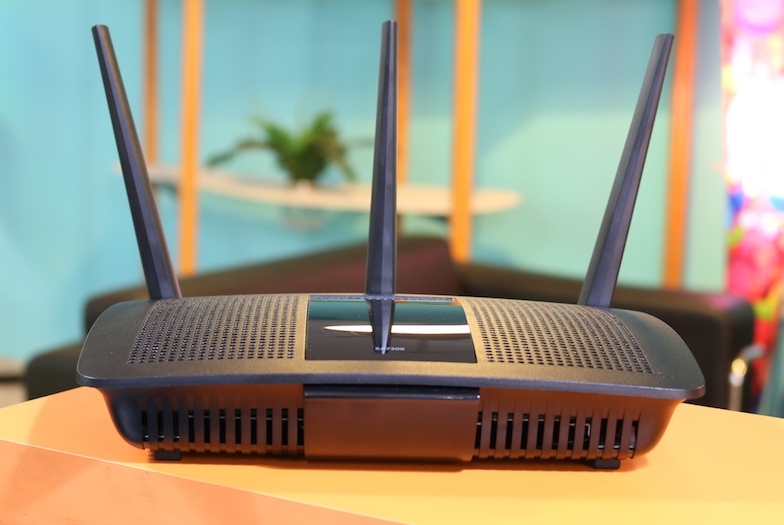 So, what do you think about the Linksys EA7300 Smart WiFi Router? Are you planning on upgrading your home network anytime soon? If so, will you consider the Linksys Smart WiFi Router to help you in doing so? Do let us know your thoughts in the comments section below. While there is no doubt that the Linksys EA7300 ($129.96) is an amazing Smart WiFi Router, the point still remains that unless you really need all the features that the router offers, paying almost $130 might be overkill. Hi. Nice reiview, I’m glad you discussed the important features of the linksys router. I have understood why it’s a good thing to get one. 1. But i was wondering how come you have only reviewed a linksys smart router and not other brands ? 2. Is linksys the best smart WiFi router or you have other suggestions ? 3. I want to buy a router that is the best smart Wi-Fi router and compatible with Circle home (parental control device). Please advice which brand and model ? 4. I live in africa and we connect using our mobile network connection, is it possible to connect a Huawei or any brand 3g or 4g usb dongle modem to this router to get internet connection?